A study of the modern revolutions that have marked human history, their causes and inevitable outcomes. 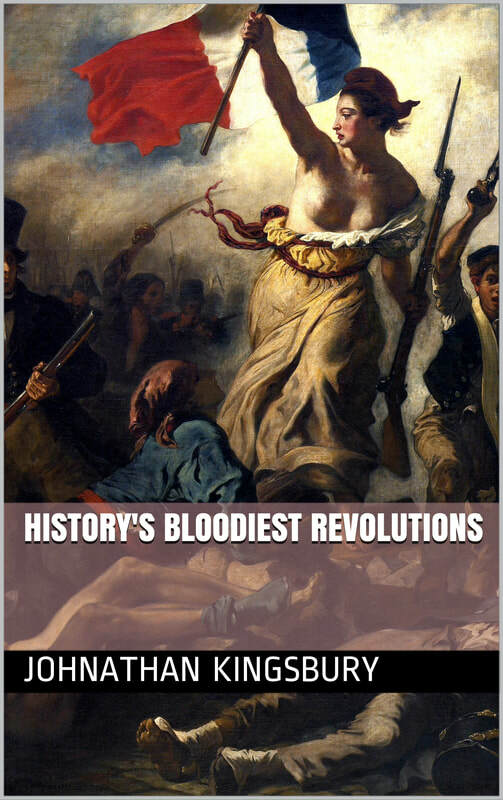 Join the author as he takes you on a ride throughout the pivotal moments that make up History's bloodiest revolutions. Many revolutions have been the result of a desire for self-determination, to break away from a larger and more powerful imperialist state. The American revolution is the perfect example. And it established the concept of self-determination which European imperialist powers would eventually come to agree with. This, in turn, led to the independence of former colonies, with or without bloodshed. So the British agreed to the independence of India, Canada, Australia and New Zealand. The French fought to control Algeria and Indo-Chinese possessions but would ultimately be forced to surrender these territories. The prevailing view of white imperialist states was that the inhabitants of colonial possessions in Africa and Asia were not capable of self-governing. There was a paternalistic sense that these territories required guidance and leadership. This gave way to a recognition of the right to self-determination. This was replicated in Europe itself, as former Soviet states fought for their independence resulting in revolutionary movements such as the Polish Solidarity movement and the Velvet Revolution in Czechoslovakia, both peaceful revolutions. Revolutions have given the world the principles which today we hold as central to our concept of civilisation. But they have been achieved at a high cost as will be explored later as we go into the detail of some of history’s bloodiest revolutions. The French Revolution cost the lives of a million people, one in twenty of the French population at the time. For the Russian and Chinese revolutions, the death toll was more like one in ten. The Russian revolution and its subsequent enshrinement of Communism at the heart of a world superpower had a further detrimental effect beyond the actual loss of life. It led to fifty years of cold war in which the entire world was forced to divide between east and west. An arms race between Russia and America brought the world to the brink of nuclear holocaust. No revolution is completely clear of subsequent fallout. The ‘Glorious’ revolution was set in motion because a Catholic monarch had declared that his infant son would be raised as a Catholic. This led a Protestant Parliament who greatly feared Catholicism to offer the English throne to a foreign prince. The subsequent battle fought by James II to recover his throne has been the linchpin of sectarian violence in Ireland and the United Kingdom for the next four hundred years. Even today there are parts of the UK where Protestants and Catholics regard each other with open hatred. The American Revolution failed to address the issue of slavery or the rights of non-white inhabitants of America. This, in turn, paved the way for a bloody civil war, one of the bloodiest conflicts in which the United States has ever been involved. The issue of race remains polarizing today in America. So, while it is clear that revolutions can be of great benefit to the societies which have endured them there is also a cost in each case. And that cost continues to be paid for many generations to come.